MACKDADDY make ya- JUMP! JUMP! 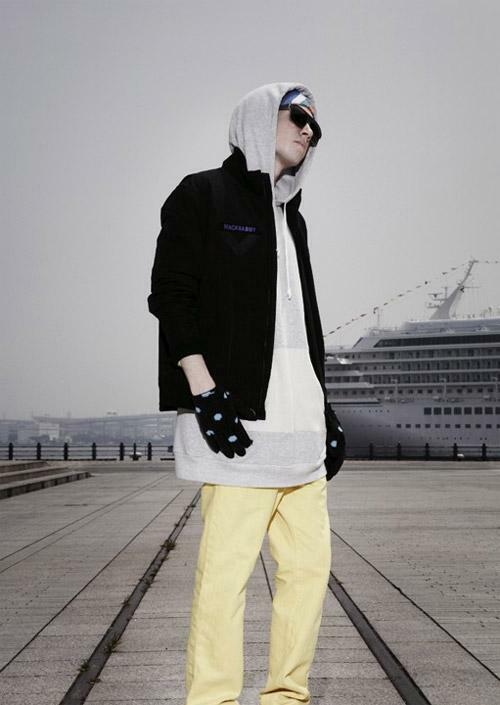 Japanese clothing brand, MACKDADDY, released their fall/winter “Hotel Chelsea” lookbook. This is a different side of the line, which is known for their strong use of bright colors with retro designs. The collection will consist of slimmer fitting, cut and sew threads, from suits to leather jackets. I’m definitely feeling the brown leather jacket [after the jump] and the suit is pretty sweet, but I tried to think of a place where you can wear a suit like that…………..Selling cars? Pimpin on the Track?……. I gots nothing. Periwinkle polka dot gloves? Really guy?